Video games — especially shooters like Black Ops II and Halo 4 — have been in an uncomfortable spotlight for the past month and a half. The controversy over violent games has overshadowed the joy that can come from immersing yourself in these virtual worlds. That’s what makes this absolutely adorable video even more engaging. 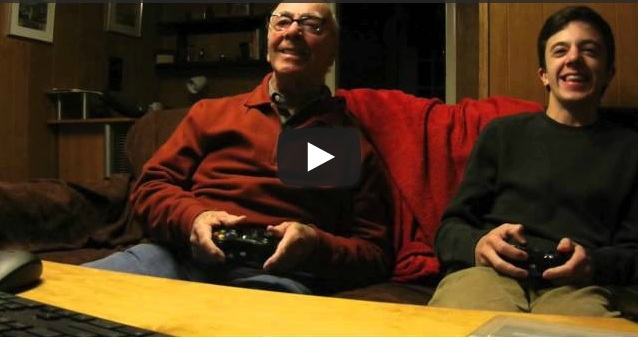 A pair of gamers invited their 84-year-old grandfather to play along – and his reactions are priceless.